I think it’s a great idea and what a gorgeous result. 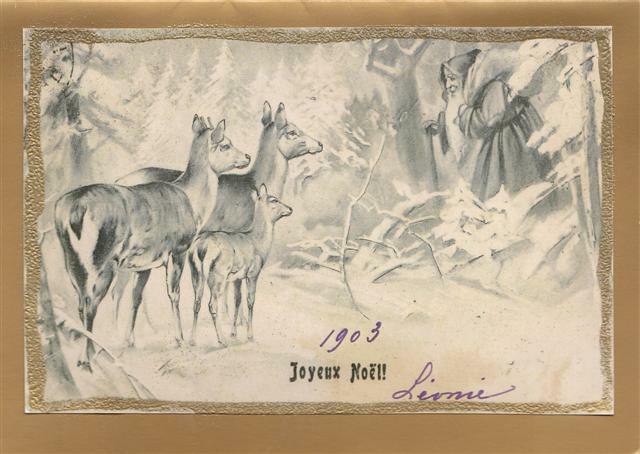 You can read more about what is believed to be the oldest Christmas card here (from the mid 1800s). I wonder how old the oldest Christmas postcard is? Wow, how beautiful Christmas card. I have also shown old Christmas cards. I have a photo of a German First World War Christmas postcard. Must send you a copy. There was nothing on the back of it though.